Budapest is the capital of Hungary, and is split by the Danube into two sides: Buda on the West and Pest on the East. 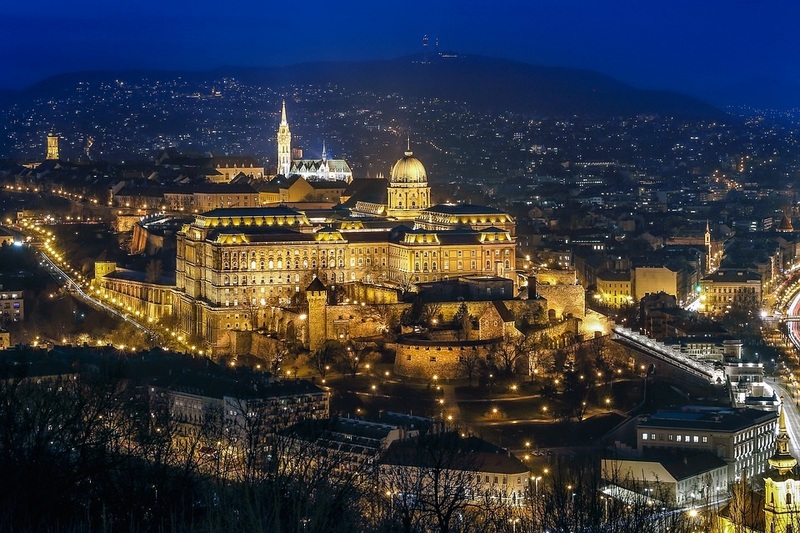 On the banks of the river, one can see the gothic-style Parliament building on the Pest side, while at the top of the hill on the Buda side lies the Baroque Buda Castle. The city is connected to each other by 8 bridges, with the famous Széchenyi Chain Bridge being the most beautiful. Budapest is a city of contrasts, with the Buda side serving as the residential area, and the busier Pest side buzzing with activity. On the Buda side, one can find rolling hills and a stunning countryside. Those looking for peace and quiet will definitely enjoy this side of Budapest.The Buda side also has Castle hill, home to many tourist destinations that really give you a feel of the history of Budapest. In this district, you will find Buda Castle, Matthias Church, and The Fisherman’s Bastion, three of Budapest’s most iconic landmarks. Buda Castle was once home to the Kings of Hungary, and later, the Habsburg rulers of the Austro-Hungarian Empire. In modern times, it has become an important historical and cultural touchpoint for both tourists and locals. Meanwhile, on the eastern bank of the Danube, lies the “modern” Pest. Here you will see a very different side of Budapest: fun, lively, active, and is great for tourists looking to taste Budapest’s legendary party scene. The Pest side is also home to shopping, with the famous Váci utca stretching from the historic Central Market Hall to Vörösmarty tér. During the Cold War, Váci utca was one of the very few places in all of Hungary where one could find designer brands, American fastfood, and other capitalist establishments. Now, it is still one of Budapest’s most famous shopping places in the city, next to the historic Central Market Hall, a neogothic building that houses 3 floors of shops, traders, produce sellers, and the like. Budapest is notable for having one of the safest, not to mention cheapest, public transport systems in all of Europe. However, it’s only cheap if you avail of the travel card, which grants you unlimited rides on ALL forms of public transport. These cards can be purchased in train stations and are available for different time durations: 24-hours, 72-hours, 7 days, 1 month. Single-ride tickets are available, but you’ll have to validate your ticket on the public transport vehicle that you ride in, and is only good for one ride. I recommend getting the travel pass, as this allows you to go around Budapest without having to worry about buying a new ticket or lining up for one. Once you get your travel pass or ticket sorted out, it’s time to commute! Trams are a great way of getting around Budapest. With over 40 lines that go through the entire city, the tram system can take you just about anywhere you want to go. The trams in Budapest are also notable for having routes that give you a panoramic view of the city. Tram 2, for example, passes along the Danube riverbank and provides riders with unparalleled views of the river and the Buda hills. Tram 2 passes the world-famous Chain Bridge, the stunningly beautiful Hungarian Parliament, the vast and cavernous Central Market Hall (one of the oldest in Europe), and many other landmarks. Every tramcar has a map of the routes in that particular district. While most directions are in Hungarian, it’s easy enough to know where to get off if you have your destination memorized. And if all else fails, just ask! Most Hungarians speak great English and will happily point you in the right direction. At night, however, most of the tramlines close down, with only the 4 and 6 running 24 hours a day. 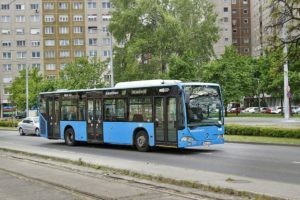 There are over 200 bus lines that crisscross around Budapest, with bus lines 16, 16A, and 116 being notable because they go from Pest to the Castle district, taking riders through the Chain Bridge and stopping at must-see sites like the Royal Palace, Matthias Church, Fisherman’s Bastion and the Budapest History Museum. Budapest bus drivers tend to drive fast, so be sure to always hold on to something! Unlike other cities, if the “stop” button is not pressed, the bus will continue on to its next stop. This can be confusing for tourists, so make sure you know exactly where you’re getting off! If you’re out until late, Budapest has a comprehensive night bus network that runs from 11pm to 5am, ensuring that you’ll always have a ride home no matter where you are in the city. The Budapest Metro is their version of the subway. It has 4 lines and is very easy to use, with three of those lines intersecting at one stop: Deák Ferenc Square. 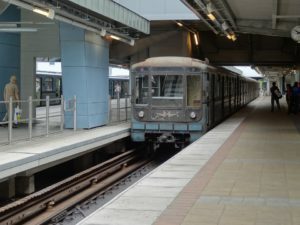 Line 1 runs from Vörösmarty tér to Mexikói út, and is recommended for tourists because it stops in numerous landmarks and museums. It is also the easiest line to take because it is relatively shallow, meaning tourists don’t have to go up and down too many flights of stairs. Overall, my favorite way to get around Budapest was by tram. It was easy, the stops were very identifiable, and it gave me great views of both riverbanks and the city center itself. The buses were a bit too fast for my taste, and could get very crowded. The subway, while fast, didn’t really give me a unique look at the city, although the stations of Line 1 were decorated beautifully. Because I had purchased a 72-hour ticket, I made the most of it and would ride and transfer between as many types of transport and lines as possible. 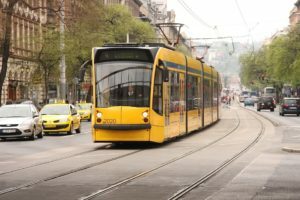 Budapest has a fairly comprehensive public transport system, so I was able to go through and see most, if not all, of the city center and the important landmarks. Have you been to Budapest? What was your favorite way of going around? Send us your story and we just might feature it!